The most commonly heard objection I hear about using Social Media, is “I don’t have time”. If that sounds familiar, maybe it's time to hire a professional to handle it for you! If you have a social media presence but need someone to facilitate it, we would be happy to help. Social media enables companies to connect with customers and potential customers, promote products and services, create brand loyalty and drive sales. 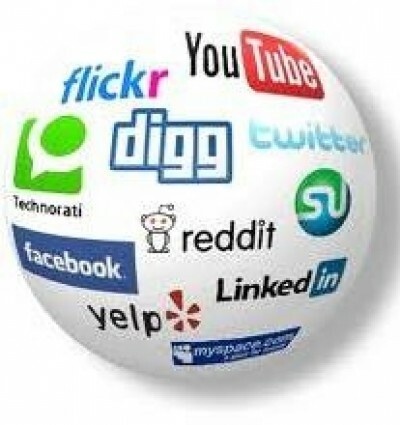 As of 2011, the number one most visited website online is now Facebook, followed by Google and YouTube. Social media websites have transformed the internet and are now an important part of any business’ overall marketing strategy and plan. Current trends indicate traditional advertising and marketing efforts will continue to be enhanced by social media platforms, such as Facebook, LinkedIn, Twitter, Google+ and YouTube. Ready to get started on your Social Media project? Please contact us today for a FREE Consultation!